Nike reveal their newest addition to the Hypervenom series. 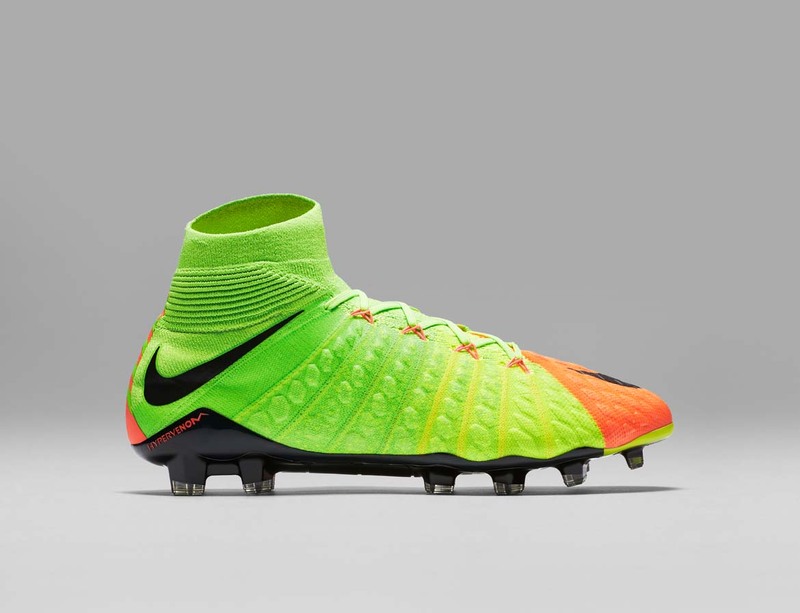 The Hypervenom 3 comes packed full of exciting changes. 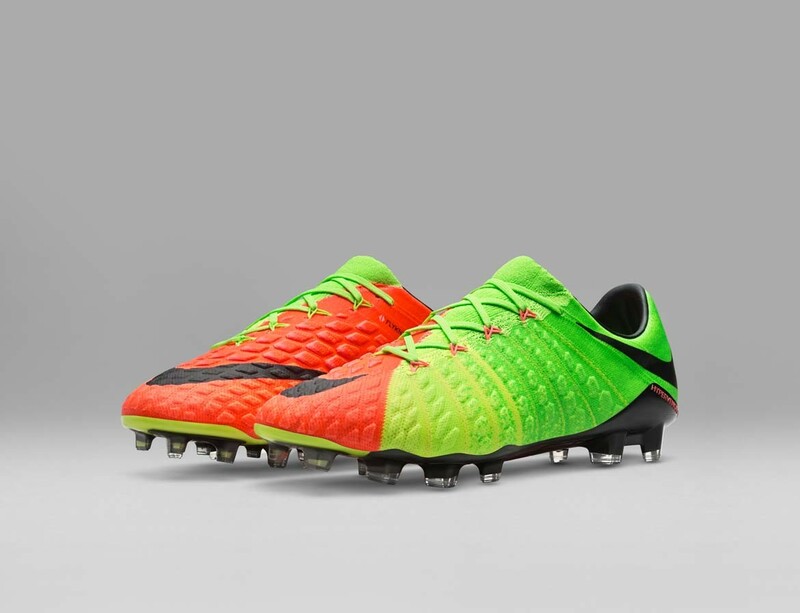 Nike have completely remodelled the Hypervenom 3. 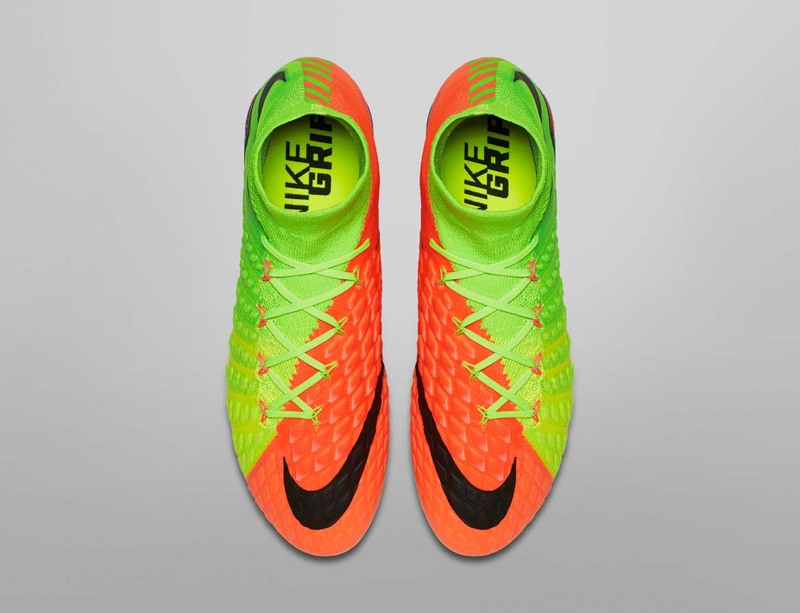 The introduction of their Flyknit technology across the upper, allows you to take the softest touch and have complete control over the ball. The rigid strike zones crafted out of 2mm multi-layered PORON foam pads, firm up when hit with power, turning the boot into a launch pad for unstoppable strikes. 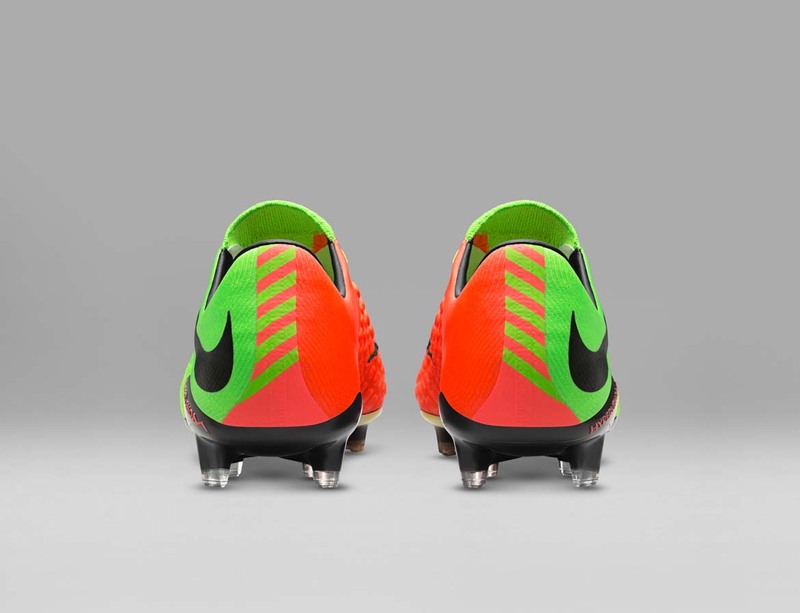 Flyknit technology and the rigid strike zones are not the only new features crafted by Nike. 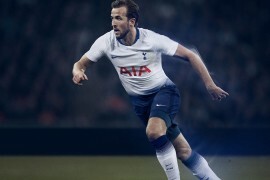 Adding three meters of Flywire cables within floating sections of the upper, gives the player the opportunity to fine tune their boot for the perfect fit, providing the ultimate comfort and control during any game. 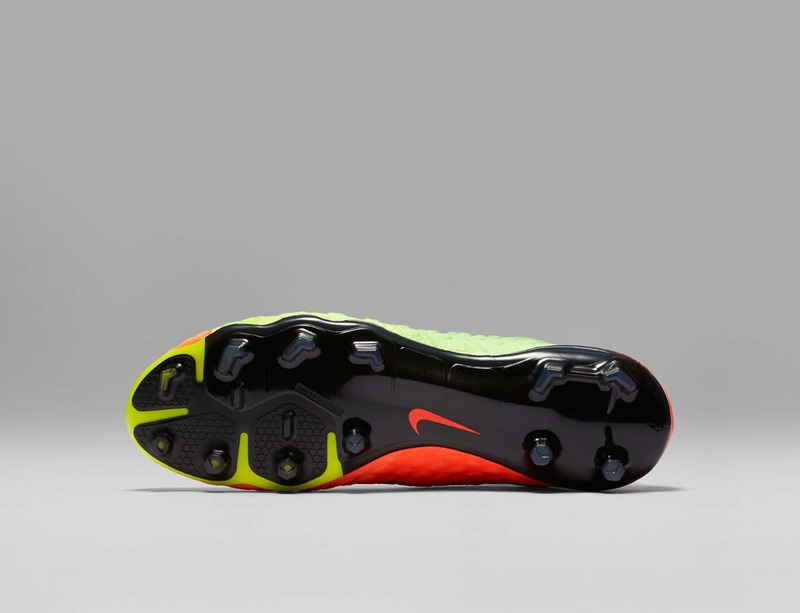 The soleplate hits new weights in Nike technology, boasting the first in its kind to feature the new Hyper-Reactive plate, with zonal hybrid studs on the medial side of the sulphate allowing for faster ground penetration and excellent traction when cutting. Chevron studs featured on the lateral side of the plate, boosts braking and accelerating, whilst still providing traction. Their low-cut down version is no longer known as the Phinish. For the first time Nike have renamed it the Hypervenom III, the same as its bigger sibling who holds the DF name. The Hypervenom III shares a lot more than just its name however, with flyknit technology covering its entire upper for the first time ever. 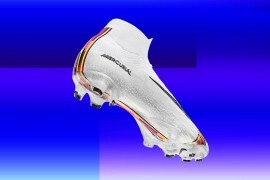 The low cut version is packed full with the same match winning technology as the collared, rendering it the most exciting new boots on the market. 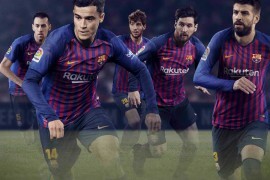 Nike have really stepped up their game with the new Hypervenom III, which only makes us more excited for what they have planned further down the line.